Indianapolis, Indiana – An Indiana trademark attorney for KM Innovations LLC of New Castle, Indiana (“KM”) sued in the Southern District of Indiana alleging that LTD Commodities LLC of Bannockburn, Illinois (“LTD”) infringed the trademarked “INDOOR SNOWBALL FIGHT”, Trademark Registration No. 4,425,111 which has been issued by the U.S. Trademark Office. KM sells synthetic “snowballs” for use in indoor “snowball fights.” It contends that it uses two distinct trademarks to market and sell these synthetic snowballs: “SNOWTIME anytime!” and INDOOR SNOWBALL FIGHT. KM has also sought patent protection for its indoor snowballs. The SNOWTIME anytime!/”indoor snowball fight” concept was conceived in December 2012. 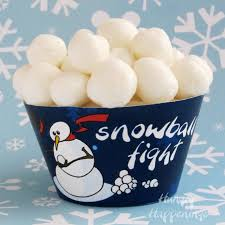 At a party, several parents realized that a market might exist for “indoor snowballs,” which would enable children to have a “snowball fight” but without the usual requirements of snow or being outside. KM later introduced a product based on this idea. In this Indiana trademark complaint, KM asserts that an item called an “Indoor Snowball Fight Set” is being offered and sold on by LTD on the LTD website. The retail price of the product offered by LTD is $9.95 per 12 synthetic balls, while an allegedly similar product is offered and sold by KM for somewhat more, with a retail price of about $1 per synthetic snowball. KM asks the court for a judgment of trademark infringement and unfair competition. It requests that the court award damages, including treble damages; order the surrender of any infringing materials; prohibit the use of “Indoor Snowball Fight” by LTD and its agents; and award to KM its costs and attorneys’ fees. Practice Tip #1: While not included as a separate count, KM did allege trademark dilution in paragraph 24 of the complaint. This cause of action is distinct from trademark infringement and applies to trademarks that are deemed to be famous. An action for dilution can assert either, or both, of two principal harms: blurring and tarnishment. Dilution by blurring, codified in 15 U.S.C. 1125(c)(2)(B), arises when association with another similar mark causes the distinctiveness of the famous mark to be compromised. In contrast, dilution by tarnishment under 15 U.S.C. § 1125(c)(2)(C) happens when the reputation of the famous mark is damaged by association with a similar mark. Practice Tip #2: KM, no stranger to intellectual property litigation, has previously sued in Indiana federal court alleging trade dress infringement of the packaging for its synthetic snowballs. The suit was filed by Dean E. McConnell of McConnell IP Law. The case was assigned to Judge Larry J. McKinney and Magistrate Judge Debra McVicker Lynch in the Southern District of Indiana and assigned Case No. 1:14-cv-01573-LJM-DML.